Usually by March we’ve weathered the bulk of winter’s storms and have been gently catapulted into spring. 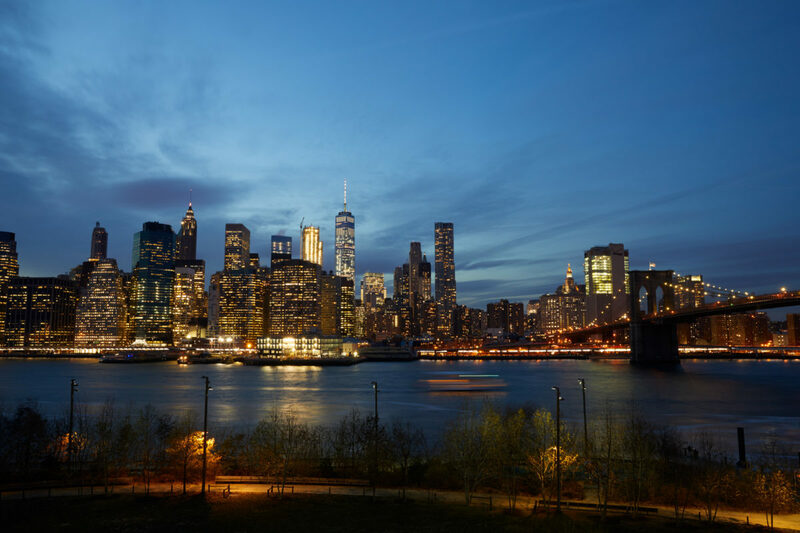 So I consider myself safe by early March to enjoy an early spring weekend at 1 Hotels at Brooklyn Bridge and Central Park in New York—to have a staycation of sorts and to see my city with some new eyes and perspective. So often the weekends comes around and I’m loath to use my metro card and stray more than a few steps from my beloved Central Park and routine of Saturday newspaper and Zabar’s bagel and coffee. 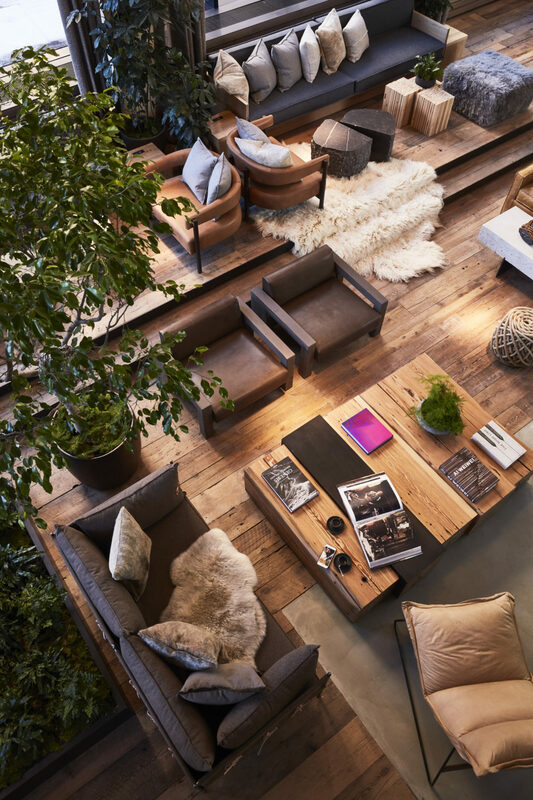 But 1 Hotels had been on my radar for ages, catching my eye as local hotels bringing the outdoors in (think mini moss gardens in each room and vertical lobby gardens) and for marrying design, sustainability, and local craftsmanship right in the heart of Manhattan and at Brooklyn’s waterfront. March seemed like the perfect time for stay, and it couldn’t come soon enough. But when that gentle month rolled around, so did the perfect storm that produced that rare combination of thunder snow and intense winds that made remaining vertical while walking a true challenge. Suddenly images of my idyllic spring weekend were swept up in the most bizarre storm that had its own name—the dreaded Windmagedon. My boyfriend, who would be accompanying me, was traveling up from a work trip in Washington, D.C. and the extreme winds were making travel nearly impossible. Even my short journey from Manhattan was rendered difficult by the then freezing rain and gusting wind that cut through Brooklyn’s Dumbo neighborhood and under the bridges that crisscrossed overhead. More than once did I stop on my walk and wonder to myself if I was crazy to be doing this, to be walking to a hotel in my own city, out on the waterfront in a severe winter storm when all sensible people were safely at home, perhaps vowing never to venture outside again. It took a few moments of pause to ensure that I wouldn’t fall down, that I would indeed survive the experience. Crossing by the Brooklyn Bridge in the dark of a storm, with the streets all but abandoned had a wildness to it that you don’t often feel in New York City. When I turned the corner and saw the “1 Hotel” sign shinning like a beacon on Furman Street, I knew I the journey had not been without reward. It’s almost unbelievable to find a place like 1 Hotel in New York City. 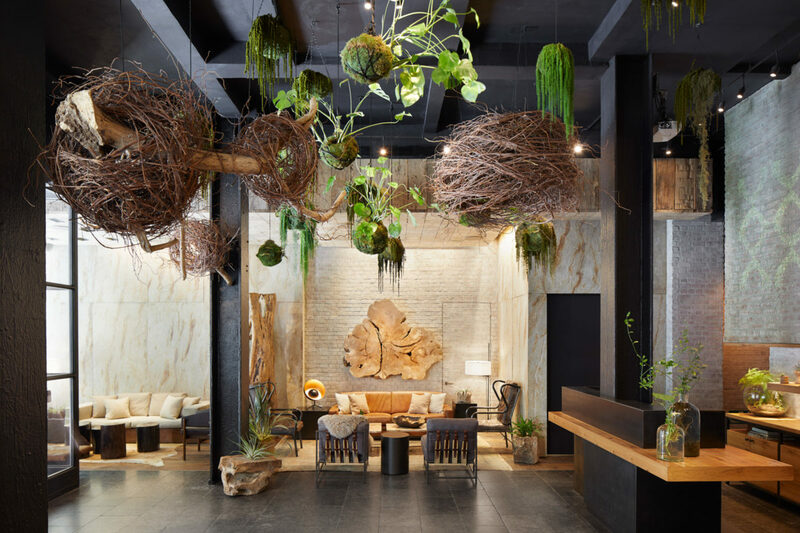 Airy and open with a mossy vertical garden in the lobby, it seems like you’ve wandered into a tropical oasis, a feeling made all the more acute when you’ve come in from a March blizzard. Everything in the hotel is warm, from the ginger scented lounge stacked with thick coffee table books, shag carpets, communal tables, and mountains of pillows. This is a place for hanging out as much as for checking in. A Tesla car waits on hand to take you anywhere within a three mile radius in Brooklyn should you wish to venture out. But why would you leave? The lounge and the prospect of dinner at the hotel’s Osprey restaurant is all too appealing to venture back into the storm. It’s getting later and my boyfriend is still trapped somewhere in the no man’s land between Baltimore and Philadelphia. He hasn’t eaten since 10:30am. In transit he scans the menu of the Osprey from his phone. It’s a forager-heavy menu named for the birds that populate Brooklyn Bridge Park just outside the window. Everything sounds warm, delicious, comforting. I begin to feel like a modern day Penelope waiting at the edge of the East River for a man that might never arrive in a storm that might never end. But even Penelope had to eat. And eat I did. Try the whitefish pâté with pickled mustard seeds on poppy seed toast, remarkably delicious fries, and little gem salad with shaved baby vegetables and soft herb chèvre. I imagine Penelope drank too. Try the Osprey cocktail, a mix of vodka, cactus water, passion fruit, lime, and intriguingly, lavender. As the storm continued to rage, I counted my good fortune for having made it to the shelter of 1 Hotel Brooklyn Bridge. Elsewhere the storm barreled its way up and down the east coast. I would have to trust that my boyfriend, still lost in the nether and now out of cell phone range, would see the hotel as his north star and find the way. After all, I had a hotel room to be settling into. While many hotels claim to have a commitment to sustainability, 1 Hotels (there is also a property in Miami’s South Beach) runs deep. Sand-filled timers placed in each shower encourage five-minute water runs, filtered water drinking spigots are mounted in the walls, and prominently placed recycling bins are ubiquitous in each room. The hangers in the closets are made from post-consumer materials, the rooms keys are recycled wood (no credit card plastic here), and chalkboards stand in place of notepads and iPads replace a binder full of local attractions and the house menus. Cozy socks and a yoga mats complete with meditation tips awaited in the closet and the mini bar is complete with almond butter and coconut oil. Add to it a lobby farmstead and complimentary parking for electric vehicles, and it’s a perfect package. I couldn’t sleep because I stared at the Brooklyn Bridge all night. From my bed, and the wall of windows, I could see the entire bridge and Manhattan’s downtown skyline. Despite the extreme comfort of the bed, I became convinced this isn’t a hotel for sleeping. By the time I woke in the morning, the sky was blue and cloudless over the Brooklyn Bridge. My boyfriend had arrived,—alas at 4 am—and the waterfront was beginning to awaken with Saturday life. Had there ever been a storm? Was it all just a dream? Had I died and gone to hotel heaven? 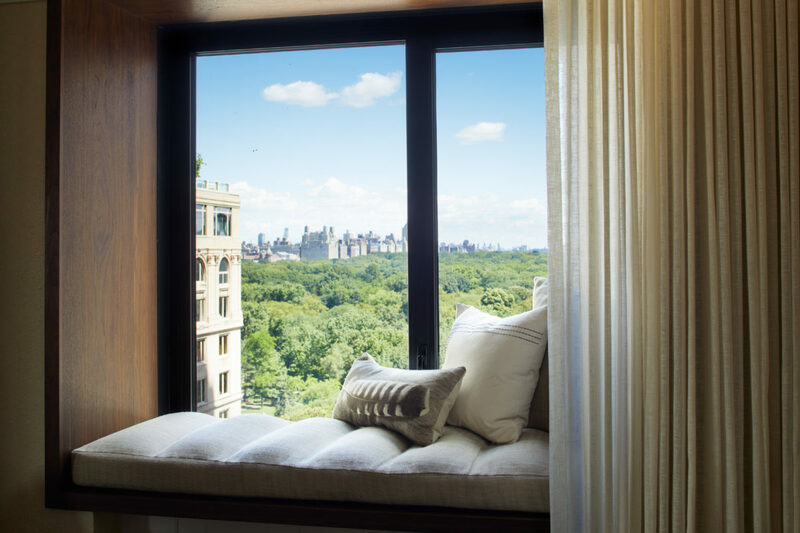 Far less stormy and dramatic, and now two instead of one, we checked into 1 Hotel Central Park, a less spacious location than its Brooklyn counterpart, but perhaps more glamorous, located in an ideal spot between Carnegie Hall, MoMA and the Park. 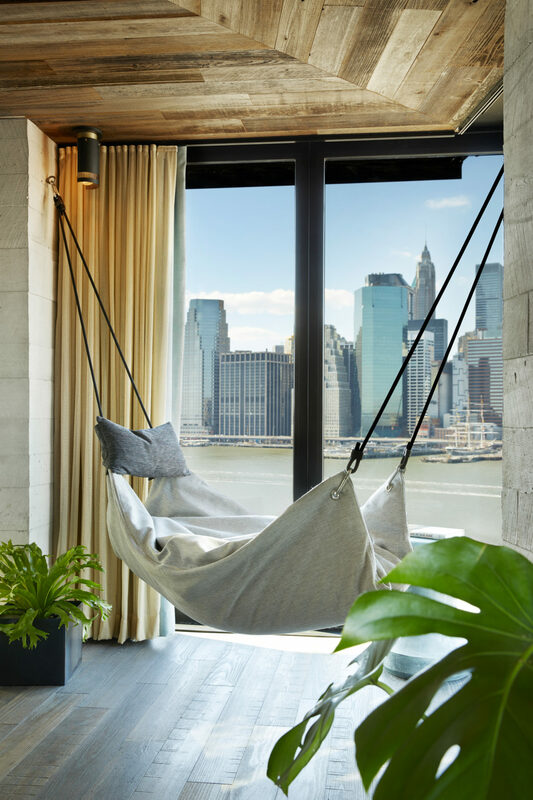 It’s here at the Manhattan location that you get a real sense that 1 Hotel is an escape from the urban jungle, a refuge from the concrete skyscrapers, a return to nature, a retreat into something more organic, more raw, more human. “Nothing is ever really lost” is emblazoned on a wall in the lobby and that mantra runs deeply throughout the property. 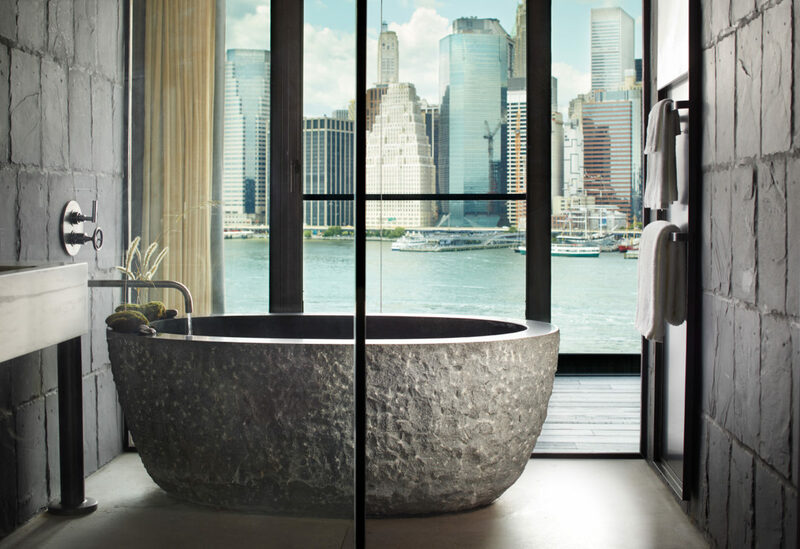 1 Hotel Central Park is accented with wood from re-purposed New York barns and water towers and antique local bricks. 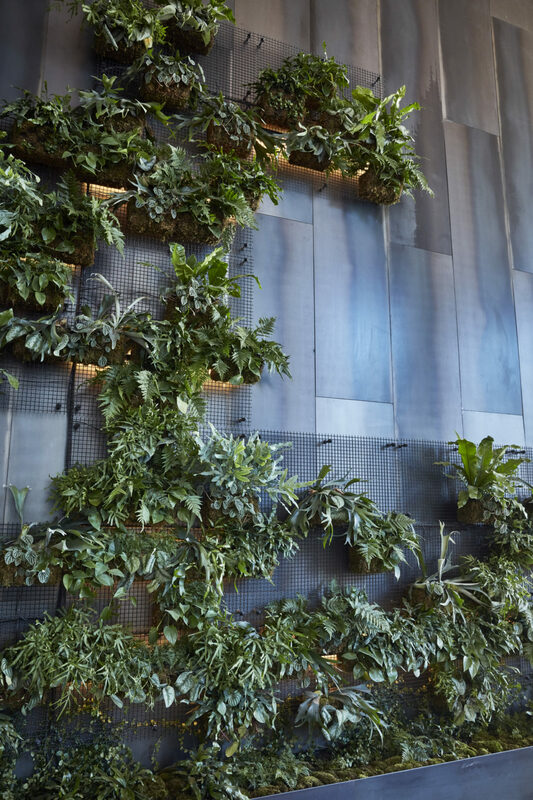 In designing the building they kept as many original features (think old mail slots, concrete ceilings, and steel beams) as they could, adding in a few thousand plants along the way. 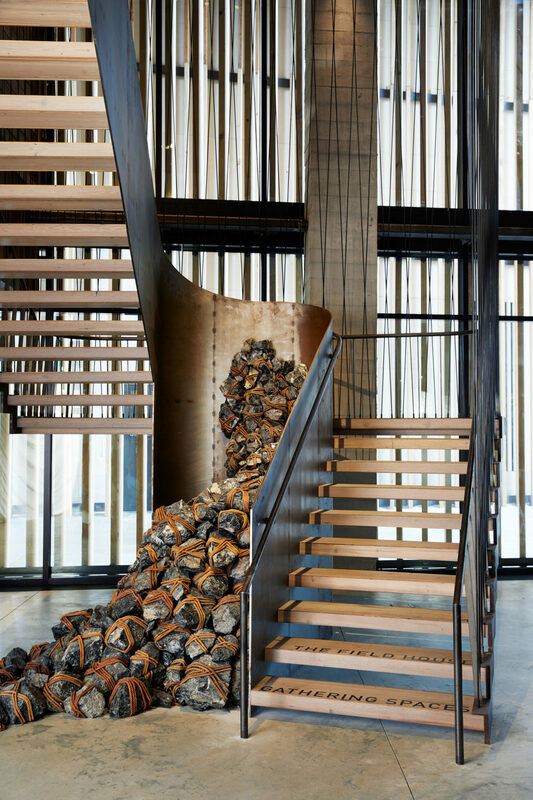 The elevators up to the rooms are reminiscence of saunas with soothing scented wood. Arriving on your floor, you sense you’ve reached your Park perch, but rather than high in a tree you’re in the center of the skyline of the greatest city on earth. 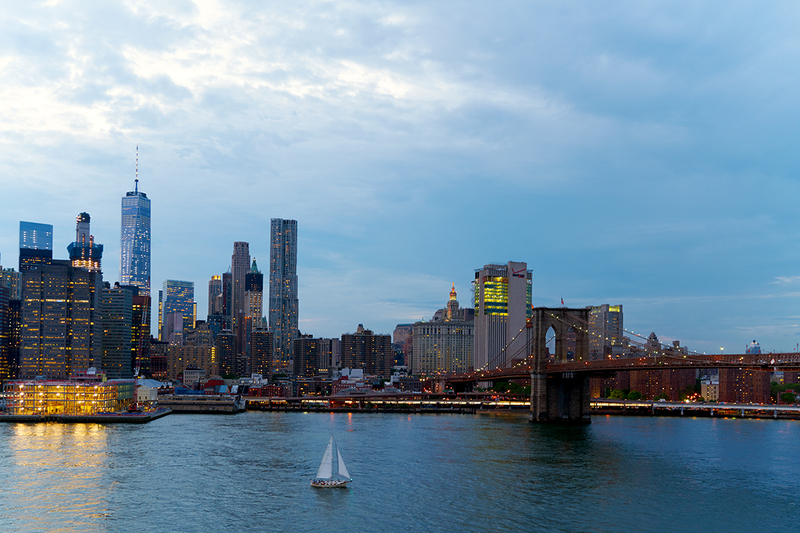 Again, you might be distracted by the view, but after all, this is the city that never sleeps. About the author: Madeline Weinfield is a New York-based writer and the community editor of The Culture-ist. Follow her adventures at @madolionw.